Having above- average or professional gaming gear won’t necessarily make you a pro gamer, but will definitely give you an advantage in pwning your enemies! 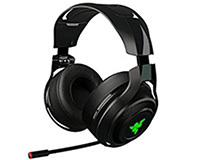 A good gaming headset should not only provide you with high-quality audio but should also be comfortable to wear for prolonged periods of gaming, as well as have a microphone and maybe some extra useful features. In the beginning, wireless headsets had a disadvantage of having a laggy connection, poor battery life and many other flaws that just made them impractical to use. 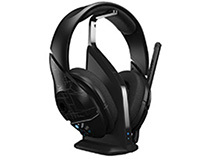 Nowadays, there is a vast market of wireless gaming headsets which offers truly different and unique solutions. But how do you choose the best one for your needs? 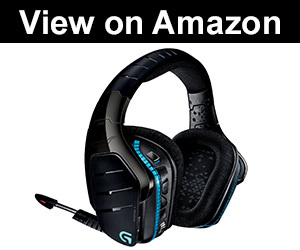 Sit back and relax, as we dive into the world of the best wireless gaming headsets out there! 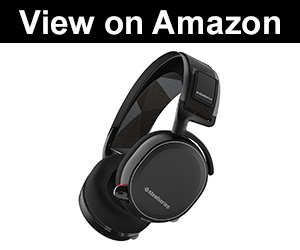 Coming from one of the most popular gaming peripheral companies out there, the SteelSeries Siberia 800 offers a premium wireless gaming experience. This beast is compatible with probably every device you might want to connect it to. The transmitter offers both optical and analog audio I/O for that extra convenience, as well as a small OLED screen which displays the volume level, EQ settings, and battery percentage of the headset. Steelseries pays a lot of attention to build quality, and the Siberia 800 isn’t an exception. Though plastic was the material of choice, it feels quite sturdy and bends enough to withstand everyday use. 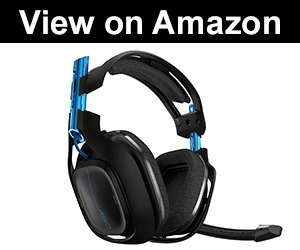 This headset is very comfortable, as memory foam padding lines the headband and the earcups. 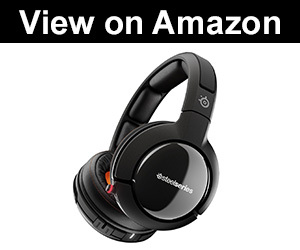 The sound this SteelSeries headset provides is very clear, even at higher volume settings. 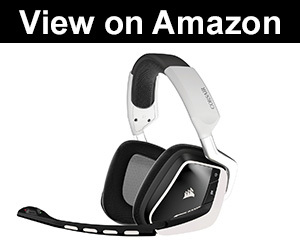 You can choose from numerous EQ settings on the transmitter, making this gamer headset perfect for both playing video games and watching movies. What makes these wireless gaming headphones extra convenient is the fact that you get a spare battery that you can charge while you’re gaming, so you don’t have to think about how much battery you’ve got left. I bet that there is no gamer on this planet that doesn’t know about Razer products. You either love them or hate them, but you can’t argue that they really make great looking PC/ console peripherals. ManO’War was our choice as the representing Razer gaming headset. As far as compatibility goes, you can use this bad boy on your PC or Mac, and it supports both PS4 and Xbox One, though you will have to get separate adapters for those. Yes, it lights up. As expected from Razer, the design of this wireless headset comes in as flashy yet sleek. The earcups offer soft padding which should make for a comfortable and sweat- free experience. As they are pretty thick, some may see this model as a bit bulkier than others. 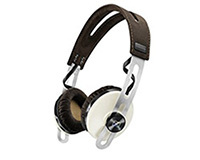 Nonetheless, it’s still very lightweight and easy to travel with, as the receiver stores nicely inside the headset. The retractable mic processes your voice to make it sound more crisp and natural, and the 7.1 emulation gives a nice immersion effect. All things said, audio is top of the line, at least when it comes to gaming. Though maybe not that popular as Razer or SteelSeries, Corsair has been making truly amazing gaming peripherals for quite some time. The VOID lives up to expectations as one of the best wireless gaming headsets you can get at an affordable price point. As a long time fan of the H2100, trying out the VOID was a pleasant surprise. It has all the traits of its predecessor and some extra improvements. Focusing more on build quality than fancy LEDs and gimmicks, the VOID will serve its purpose for a long time as it feels very solid and sturdy. The earcups are padded with a soft cloth which lets your ears breathe but at the same time prevent any noise leakage. The boom- style mic offers noise- cancellation which only got better in comparison with the H2100. Your teammates won’t hear anyone and anything except you. Dolby 7.1 audio enhancement is there to provide precise and immersive sound experience, giving you that advantage, especially in FPS games. Boasting a fairly interesting design, the A50 from Astro Gaming rounds up pretty much everything that a good wireless gaming headset should have. What makes this headset really stand out from the rest is the charging cradle. It looks very nice and is convenient to have your headphones charging by simply placing them on it. Sometimes though, it can be a bit difficult to place them correctly, so double-check to make sure it’s charging. 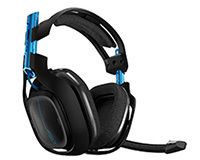 Unlike its predecessor, the A50 boasts audio controls on the headset itself, giving you easy access to them. Although the battery offers around 14h of gaming, a bit less than the other models we’ve mentioned, it’s still enough to do a good job for most people. Audio is on point, both the drivers and microphone provide a solid audio signal. With Dolby 7.1 included, a high level of fidelity is achieved, and rich and crisp audio is what this model is all about. The latest model from SteelSeries, the Arctis 7, has already gotten the title of the best wireless pc gaming headset, and here’s why. The Arctis 7 is a PC headset with mic that is also compatible with other non- USB devices as well, and it includes the needed adapter. What makes this headset very comfortable is the ski goggle suspension band, eliminating any pressure points and guaranteeing a perfect fit. Noise canceling integrated into this headset is absolutely insane, there are videos of it being used in a convention center full of people, and this model managed to filter out all the surrounding noise easily. 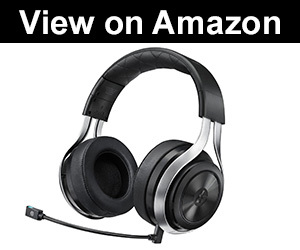 With on-ear controls over the audio, as well as a mix wheel for tuning in the volume of both the game and chat makes the Arctis 7 a real powerhouse. 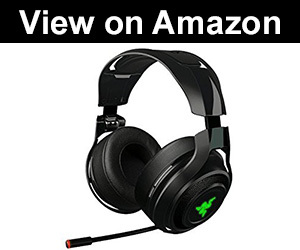 Coming from Turtle Beach, a company not as famous as Razer or SteelSeries, the Ear Force XP400 Bluetooth gaming headset packs quite a punch at an affordable price point. The overall design isn’t as flashy or sleek- looking as the other models we’ve mentioned. The earcups felt good even after a couple of hours of gaming, and we’ve managed to position the boom mic quite easily. As far as audio goes, Dolby Surround Sound is supported, and though it may not sound as good as some more expensive models, it still makes for an immersive experience. What sets the Ear Force XP400 apart, is the ability to connect your phone to it, so you don’t have to bother taking the headset off if someone calls you in the middle of your gaming session. Smart audio features are present as well, such as the chat volume automatically getting louder with the game sound so you can always hear your teammates are also a nice feature that Turtle Beach included with this headset. 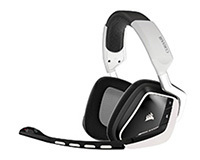 This model is probably the best Xbox360 and PS3 headset you can get, especially considering the price. Logitech is, somewhat like Corsair, known as a company that tries to focus more on usability and ergonomics, while still making very good looking peripherals. 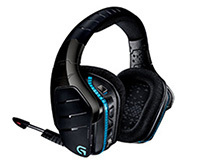 The Logitech wireless gaming headset G930 with 7.1 surround sound is a true beast in the world of the best wireless gaming headsets. Let’s see exactly why. The design of this headset resembles something out of the Crysis game, an almost alien- like design with LEDs and organic- looking headband. Comfort is on point as with probably any Logitech gaming peripheral, so let’s focus on the cool features this headset has to offer. The noise canceling boom mic stands as a very good competitor to the one the Artcis 7 boasts. Customizable LEDs, Dolby 7.1 audio, and 3 programmable macro keys are all found on this bad boy. 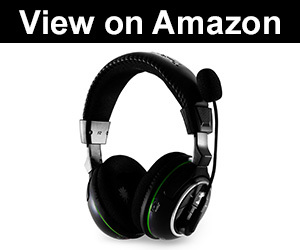 This 7.1 surround sound headset is compatible with USB or RCA supporting device, and also offers multiple source audio mixing. Some of you may argue with the choice of this model in this category. 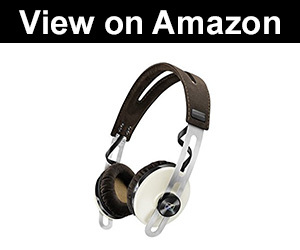 Sennheiser is known as a company that has been making amazing audiophile headphones, not gaming gear. The Momentum 2.0 Wireless just may be what some of you have been looking for! A very minimalistic and old- school design makes this headset very lightweight and appealing to those who prefer a more standard look. Active noise cancellation blocks the outside audio making these headphones perfect for gaming in loud circumstances. As it uses Bluetooth, it’s compatible with most BT devices, such as your PC, Mac and gaming consoles. Did you even know that a Skullcandy gaming headset existed? It turns out that their PLYR1 7.1 surround sound headset is a great option for gamers, especially considering the slightly above $100 price point. Build quality is average. Plastic was the material of choice, and while they won’t break that easily, they don’t really feel premium. Noise isolation, as well as audio quality, are pretty good, with the standard bass kick Skullcandy is known for. These are compatible with most platforms out there, with an adapter needed in some cases. The microphone is very sensitive and will pick up some unwanted noise, but once you’ve found the optimal position, it does the job very nicely. With around 12h of battery life, the PLYR1 7.1 isn’t the best headset battery- wise, but will get you through most gaming sessions. Yet another company that isn’t that famous in the world of gaming, LucidSound presents their wireless microphone headset, the LS30. Featuring a very minimalistic and sleek design, the LS30s offer a rather thick padding on the earcups, making them very comfortable. They can, however, heat up your ears after some time. The detachable microphone isn’t too sensitive but will pick up some background noise. Unlike most models we’ve reviewed so far, this headset doesn’t have surround sound features. The built- in EQ settings give it some variety when it comes to sound. What makes this headset stand out from others is definitely the design and build quality. Unlike other models which use only plastic, metal accents in the LS30 round it up as sturdy and solid. As with any piece of equipment, there are a couple of things to have in mind and consider when buying. Here are the most important specs and features when it comes to the best wireless gaming headsets on the market. 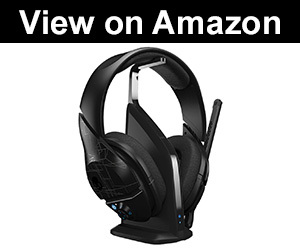 Unlike wired gaming headsets, wireless ones are usually compatible across most platforms. Do have in mind that there still are models which don’t support certain consoles. If you game on a PC or the latest PS or Xbox, chances are that most models you find and that we’ve reviewed will do the job just fine. It’s better to double check every model you might want to get, especially if you plan on using the headset across multiple devices regularly. When it comes to different microphone types, there are a couple of standards most manufacturers use on their headsets. We’re not talking about audio quality here. The best way to determine if a headset has a decent mic is by simply listening to samples you can find on either the manufacturer’s website or on YouTube. Starting with Retractable microphones, they feature a pretty simple design. When you’re not using it, just push it inside the headset and it gets out of the way. These mics are most commonly made of a wire or similar material which is flexible enough for you to position it exactly how you want. Boom microphones swivel to a 90-degree position when in use. They too can often feature a similar wire- like design for optimal positioning. My personal favorite would definitely be the latter. 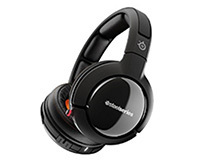 I’ve gotten into the world of gaming headsets by using a SteelSeries Siberia (the 1st generation) which had a retractable mic, and I found myself having difficulties pushing the mic all the way inside while having the headset on my head. The microphone type, or rather the design of it, may not be a crucial factor for some gamers, but having build quality in mind, it can greatly reduce the lifespan of your headset. 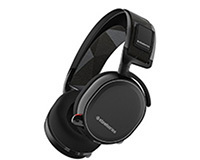 Noise canceling is a great feature to consider, especially if you play your games in situations where there are other people or noises around you. They record the background audio and cancel it from the main signal the mic is receiving. As with any wireless device, a short battery life can be a dealbreaker. Luckily, most models offer either interchangeable batteries, allowing you to continue gaming while you’re charging your spare battery, or you can simply connect the charging cable and continue playing on, for a short time, wired headset. A better battery, however, often equals a more expensive and heavier headset. Console gamers should pay extra attention to this spec, as it’s harder for them to attach a charging cable to their device and continue playing, unlike PC gamers. The same applies when talking about signal range, though you probably won’t encounter any issues unless you prefer gaming from your backyard! 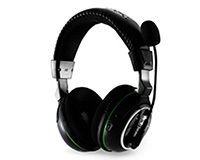 The main feature that differentiates gaming headsets from other types, such as audiophile or studio ones is the option of having surround sound. Ask yourself, do you want a gaming headset or something that you’re going to use for listening to music as well? Having surround sound is great for games, especially first person shooters, as you really do have a slight advantage being able to distinguish exactly where the sounds are coming from. A good wireless gaming headset should have a sturdy volume wheel as well as a mute button for those embarrassing moments when your mom comes into your room to scold you for gaming this late. Other features may include RGB lighting, a connection to your phone for taking calls and similar bells and whistles. While there are certainly useful features you can find on many headsets out there, some are there for pure aesthetics and don’t serve a useful purpose. Sure, they may look cool, but always have in mind that you will be paying more for them. So which headset should you get? Though all of the mentioned models have different pros and cons and are better in certain circumstances than others, there are a few we would like to point out as best in different categories. The Best Wireless Headset 2017 – SteelSeries Arctis 7, mainly because of the headband design and premium noise canceling microphone. 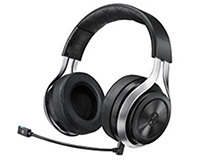 The Best Xbox One Headset – Skullcandy PLYR 1 7.1, works great with all the devices it supports, but we found it the most comfortable and easy to use with consoles such as Xbox One. The Best Gaming Headset Under $100 – Corsair VOID, as you probably won’t get the sound and build quality this model has, for a low price point. We hope that you found this article useful and that it helped you in finding the perfect wireless gaming headset for your needs.